The Al-Muhaidibs and Al-Agils, among the wealthiest families on the planet, became fully-fledged Maltese citizens last year. Sixty-two members of two of the richest families in Saudi Arabia became ‘Maltese and EU citizens’ last year after paying millions of euros to buy Malta passports, Times of Malta learnt. According to the 2017 list of new Maltese citizens, published in The Government Gazette a few days ago, the Al-Muhaidibs and Al-Agils became fully-fledged Maltese citizens last year, even though most of them are minors and might have never set foot on Maltese soil. The Al-Muhaidibs and the Al-Agils are not only two of the wealthiest business clans in the Saudi kingdom, they are also mentioned by Forbes as among the wealthiest families on the planet. The Al-Muhaidib Group was established in 1946 and mainly deals in building material and foodstuffs. Group chairman, Sulaiman Al-Muhaidib, who, according to Forbes, has a personal wealth exceeding €3 billion, acquired a Maltese passport last year together with 34 other family members, including his brothers, spouses and their families. The Government Gazette list, which gives details on a first name alphabetical order rather than the normal surname module, making it more difficult to distinguish passport buyers from purely new Maltese nationals, indicated that the Al-Agils, who control the Jarir Group business empire, worth over €1.5 billion, procured 27 Maltese passports. The Jarir Group, which is listed on the Saudi stock exchange and trades in many areas, is controlled by brothers Mohammed, Abdulkarim, Abdulsalam, Abdullah and Naser, all appearing as new Maltese citizens. Very little information is given about Malta’s controversial cash for passports scheme, launched in 2014, despite the fact that those who pay large sums of money and buy/rent property on the island are entitled to a Maltese passport, citizenship and the right to vote. The government has always resisted calls to publish the list of those acquiring Maltese passports through payment and, instead, publishes the names of the new ‘Maltese citizens’ together with hundreds of other names who acquire Maltese citizenship every year through a long legal process, normally through naturalisation. Various government spokesmen, including ministers and officials of Identity Malta, have repeatedly shot down calls to make the names of passport buyers’ public, arguing that would jeopardise the scheme’s popularity. 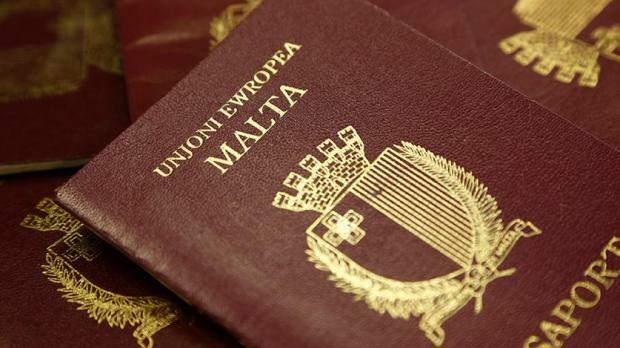 Identity Malta sources told Times of Malta that those buying Maltese passports would not usually be very interested in making such a fact known, especially to their own governments. A major share of Malta’s passport buyers’ hail from Saudi Arabia as well as other gulf states and far eastern countries. People living in former Soviet republics have also been attracted by the so-called Individual Investor Programme. More than acquiring Maltese passports, those who fork out €650,000 for every passport and another €25,000 for each dependent would be seeking freedom of movement within the EU since they would also attain EU citizenship as a result. Although the EU does not look at these schemes positively, it has, so far, tolerated them. This is also due to its limited powers in this area because citizenship rights fall under the direct jurisdiction of member states.